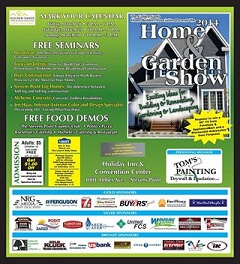 Visit Us at the Golden Sands Home and Garden Show! Visit us at the Golden Sands 35th Annual Home and Garden Show March 28 and March 29, 2015 at Holiday Inn & Convention Center Stevens Point. Hours are Saturday 9:00 to 6:00 And Sunday 9:00 to 3:00.